Liquor.com is featuring Smallman Galley’s 90s throwback menu. The cocktail menu is inspired by The Sandlot and the cocktail names pay homage to the movie with names like the Hercules, Wendy Peppercorn, and Legends Never Die. The restaurant has even printed the entire menu on the back of a real VHS case, a nice touch for some of us who can remember what it was like to be kid, and rewind. You’re killin’ us, Smallman! Chef Benjamin Meyer of the Westside Ironworks location of Barcelona Wine Bar and Restaurant likes to theme his specials based on color, however this is not a gimmick, it’s a challenge – Chef Meyer is colorblind. Atlanta Magazine profiles Chef Meyer and his innovative new menu. 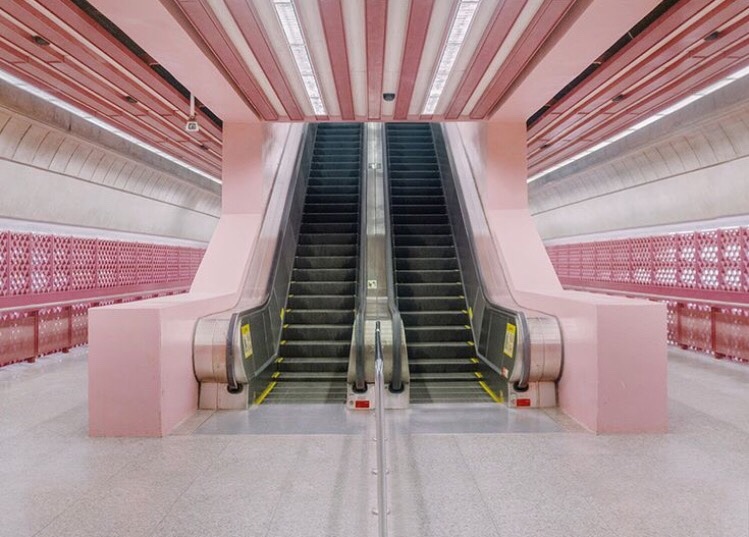 My Modern Met shares images of real life places around the world that are visually striking, delightfully eccentric, isolated, colorful, and quaint – and probably belong in a Wes Anderson film. We’ve all been there. Thirst, dizziness and fatigue. A sure sign of an evening spent with one cocktail too many. Esquire has the remedy, or at least they’ve talked to some famous chefs who claim to have the perfect hangover remedy! From Chef John Ondo’s sweet tea cure, to Chef Troy Guard’s juice and Squirt soda combo, to Anthony Bourdain’s no-fail recipe of aspirin, Coca Cola, Chinese food, and a joint, you’ll be head-ache free and up on your feet in no time. Condé Nast previews Starbucks’ new location – a 100-year-old Machida (townhouse) in Kyoto, Japan. Remove your shoes, sit on traditional tatami floors, admire the hanging scrolls of kimono silk, and enjoy your Matcha Frappuccino in a place that once hosted geishas. Reading a Recipe...Or Rolling, Baking, And Eating It? IKEA’s latest “Cook This Page” interactive recipe card makes cooking seem effortless: With a parchment paper sheet that displays drawings of ingredients needed, all you need to do is fill in the blanks with the food and spices. Once everything is in place, just roll it up and toss it in the oven. Watch the steps at designboom! With the MTA in a state of emergency and Penn Station experiencing horrific delays, where is one to go for some relief? Eater has rounded up the best stress-soothing spots around the train hub that will give you some solace. Our favorite place to take refuge? L’Amico – only 2 blocks away. You should be buying English Peas. Not only are they rich in protein, but they’re delicious and a great summer snack. Not sure what to do with them? Shape has you covered with some easy and healthy recipes like a Chilled Summer Soup from Kristen Essig and Michael Stoltzfus, co-owners of Coquette in New Orleans. We are excited to announce our latest addition to the LEAP family, Queens Bully!